Music Education: Cantare Con Vivo partners with Cleveland, Emerson, Lincoln, and Peralta Elementary Schools, as well as Vincent Academy and Melrose Leadership Academy, to offer choral music education in 65 classrooms during the school day to K-5 students. Students learn diverse folk songs from around the world while building fundamental musical skills through a sequential curriculum based on the National Standards for the Visual and Performing Arts. Cyber Safety: Cyber Safety curriculum for Grades 3-5. Purple Silk Music: The Purple Silk Music Education Foundation (PSMEF) is an Oakland-based nonprofit that supports music education for inner-city youth. 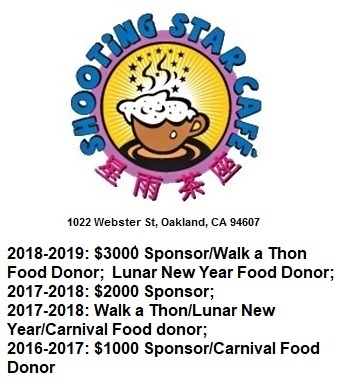 Our programs include the Great Wall Youth Orchestra & Chorus of Laney College and the Purple Bamboo Orchestra & Chorus of Lincoln Elementary School. Lincoln is one of the only K-5 public schools in America that teaches music with Chinese instruments. The children in this program get their start by learning how to sing Do Re Mi. If they can sing on pitch, they may join the Purple Bamboo Chorus, or learn to play a music instrument. TechBridge: Techbridge inspires girls to discover a passion for technology, science and engineering. Through hands-on learning, we empower the next generation of innovators and leaders. Learn more here. East Bay Asian Youth Center: EBAYC builds strategic partnerships with schools, city and county governments, and community organizations; and establishes trusting relationships with families to provide seamless services to support youth. East Bay Regional Parks Camp Arroyo: 4th grade science camp in the hills overlooking the Livermore Valley; the YMCA at Camp Arroyo provides an Outdoor Environmental Education overnight trip for our 4th grade classes.